We work with an extensive, established network of partners to manage your lifestyle and finances effectively and efficiently. Otium Partners’ carefully chosen professionals, tradespeople, specialist companies and consultants share our exacting standards. We have cautiously selected a range of Trusted Partners that have been tried, tested or introduced to us through reliable sources. We pride ourselves on being completely independent where we remain as Trusted Advisor to our client, meaning we are not led by fees and we always do what’s right. It is imperative to us to ensure the right Trusted Partner is introduced to work with our client. We understand our clients’ personalities, preferences and requirements which gives us the confidence to ensure we work with the right partners. Our experiences of working with our network of partners has been built over 40 years. We know the partners we work with and that they have the correct capabilities and client care to complete the task in hand. Our clients are always at the core of our offering and we are their Trusted Advisors, who have a complete understanding of their needs and affairs. 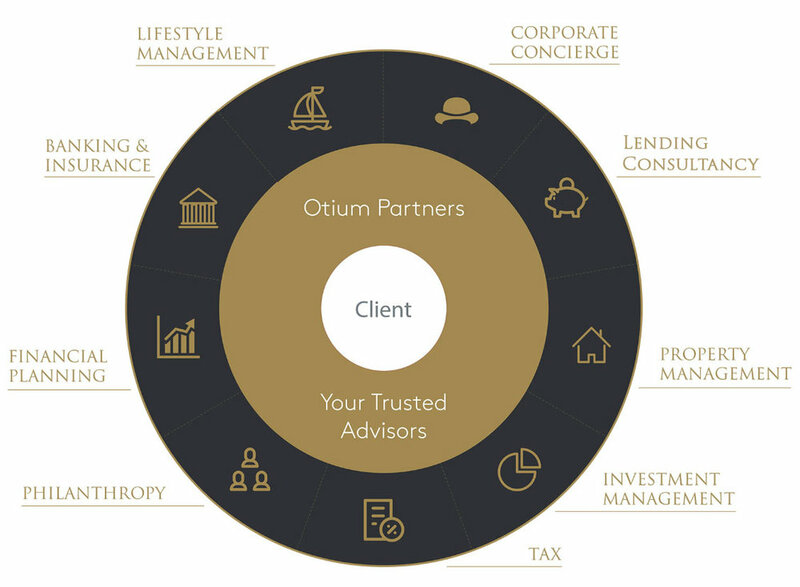 It is our role at Otium Partners to co-ordinate the appropriate partners to complete tasks for our clients and it is our job to ensure that those tasks are completed correctly. We are often the first point of contact between our client and their partners, which allows us to ensure that everyone in our circle of trust is working towards the same goals.